Lambeth storage - storage by the box from £3.50 per box per month. Taking the 'self' out of self storage. With Storage Collect we do all the hard work. With Storage Collect, everything's included. Boxes, tape, packing materials, insurance, collection, and storage. From just £3.50 per box per month. Export grade heavy duty boxes and packing materials delivered to your door free of charge. Box collections during pre-notified time windows from your home or work so you don't have to wait in all day. We store your boxes at one of our dry, secure facilities. 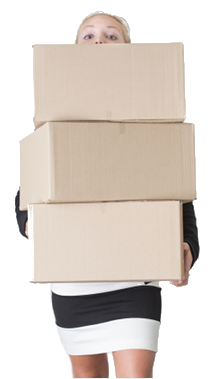 Login to your account to manage your boxes and arrange returns. Boxes returned on the day of your choice, Monday to Saturday, so you can plan for their arrival. Why not take the self out of self storage in Lambeth, and save yourself a small fortune in boxes, packing tape, fuel, van rental, and hassle. See how Storage Collect's all inclusive collection+storage+delivery service stacks up against self storage in Lambeth. Storage Collect in Lambeth is part of our national network of storage depots and delivery vehicles. At the end of your storage at Lambeth we can deliver your Lambeth storage boxes anywhere in the UK for the same price as returning them from storage to Lambeth. New to Lambeth? Here's the lowdown.